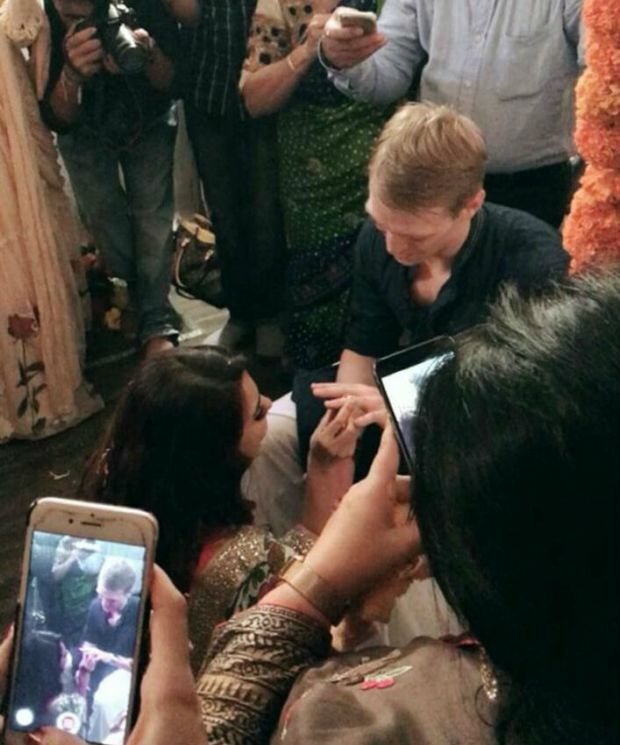 Naagin actress Aashka Goradia recently revealed that she will tiethe nuptial wedding knot with her beau Brent Goble on December 3 this year. 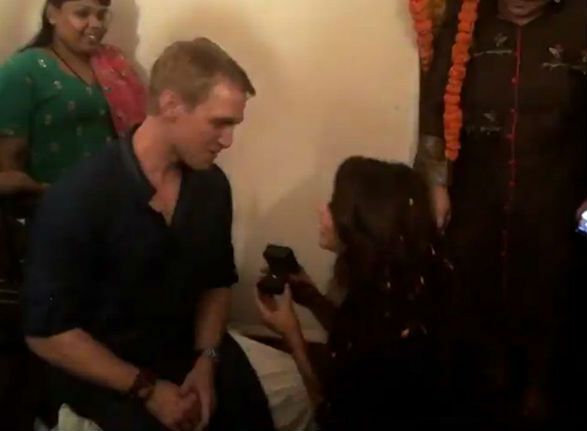 And looks like the pre-wedding rituals has already begun as the couple got engaged in a traditional Indian style in a hush hush ceremony on Thursday evening. The couple who was last seen together in dance reality show ‘Nach Baliye 8’ got engaged in a private traditional ceremony, in the presence of their close friends and co-stars from ‘Naagin 2’. The ceremony took place in Oshiwara at Aashka’s close friend Pompy’s house. 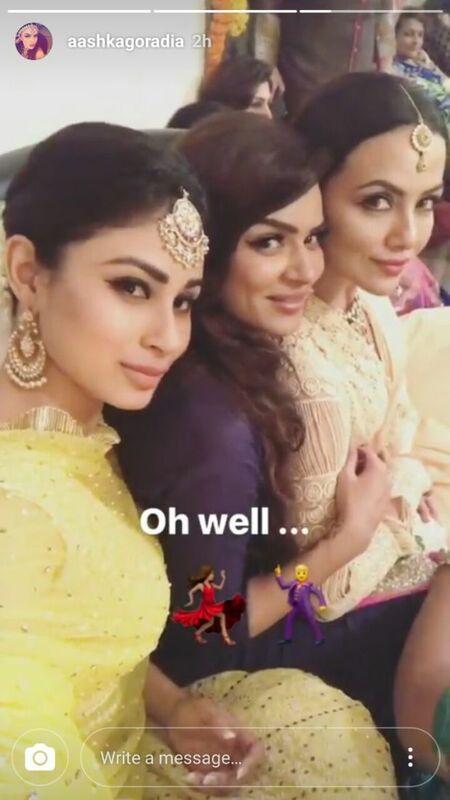 Popular TV actresses and Aashka’s co-star from ‘Naagin’ Mouni Roy, Adaa Khan, Karanvir Bohra and Sana Khan graced the event to bless the sweet couple.